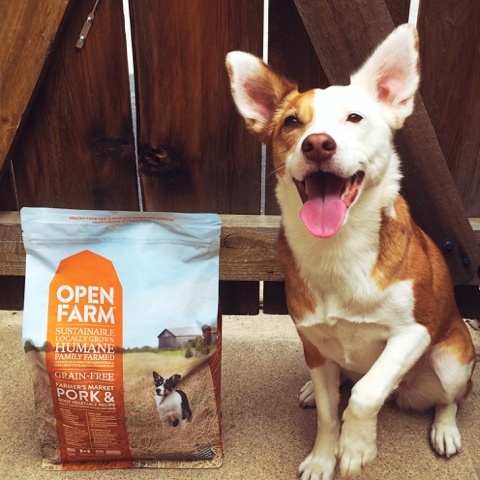 Previously, I introduced Open Farm dry dog food with its dedication to humane treatment of farm animals and support of small, local farms and discussed why it was a great choice for me as someone concerned about animal welfare and who chooses to reduce the amount of meat in her own diet. 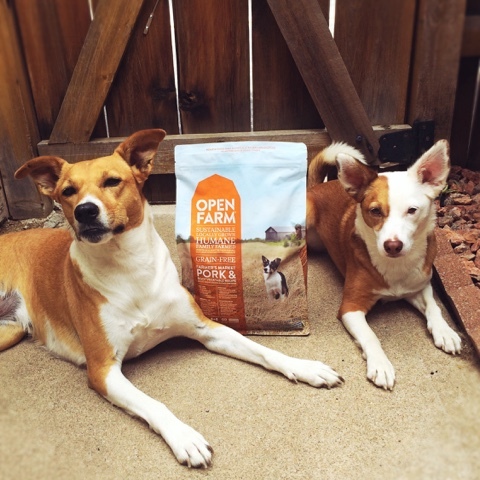 Today I want to highlight why my dogs are on a rotation diet, and how Open Farm fits perfectly into that plan. 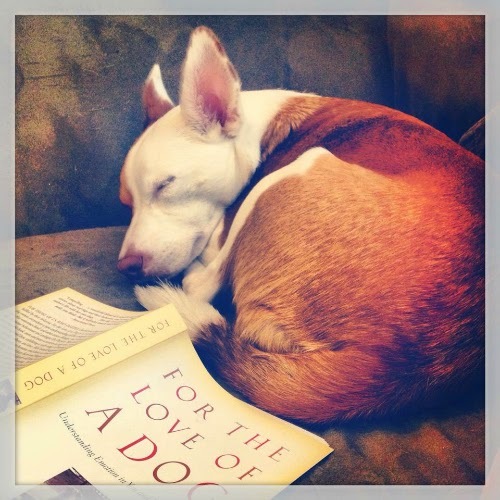 I don't want to eat the same thing every day - why should my dogs? Before adopting Ruby it had never occurred to me to change dog food brands or even formulas once I found something that worked. If it isn't broken, don't fix it, right? Between having a picky eater, educating myself about canine nutrition and shopping at local stores that carried higher quality foods, I started to change the way I looked at my dogs' diet. The Ginger Sisters have been on a varied rotation diet for as long as I've had them. We humans ascribe a great deal of meaning to meals, and feeding our pets is one of the most concrete ways we can show them affection. 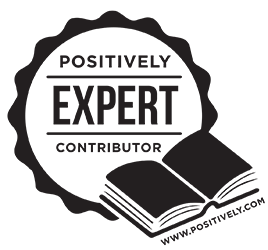 I change brands, recipes and formats regularly so that they eat a little bit of everything. If I have squash or broccoli for dinner I steam some unseasoned for them and set it aside to add through the week. Simply put, it makes me feel good to feed my dogs what they enjoy and what I believe to be good for them. I see their eyes light up when they try something new or get a special treat mixed in with their breakfast or dinner. We have been feeding Open Farm's Pork and Root Vegetable formula for about three weeks now and I seldom see them clean their plates so quickly. Its first five ingredients are humanely raised pork, garbanzo beans, ocean-caught whitefish meal, field peas and green lentils. I'm extremely comfortable with the rest of the ingredients (things like sweet potato, pumpkin and salmon oil) and the girls have been gobbling it up with relish. Even eating out of puzzle bowls, they are sure to hunt down every last morsel. With no food sensitivities, I love that they are getting a variety of proteins and Open Farm uses only fish meal prepared in small batches using seasonal and sustainable fish harvests. I most often feed chicken or turkey for breakfast so I make sure their evening meal contains something different. Rotation feeding allows me to make improvements and try new things for my dogs. 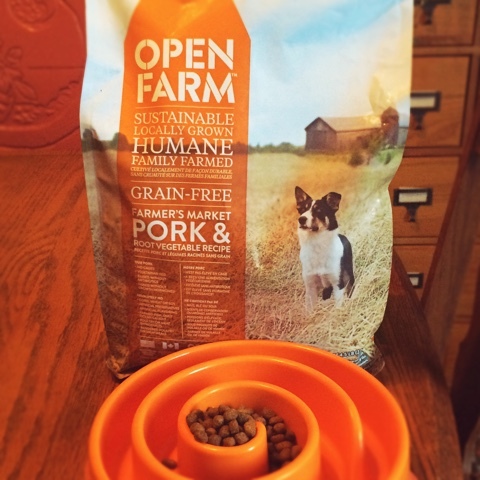 If not for rotational feeding I would not be continually researching dog food brands and wouldn't know when fantastic new options like Open Farm appear on the market. Right now it is the only Certified Humane brand of kibble available in the U.S. It received a four-and-a-half star rating on Dog Food Advisor. It still has somewhat limited availability, but I'm betting that will change as I know I'm not the only one concerned with feeding locally sourced ingredients and thoughtfully formulated food which also makes an effort to improve conditions for farm animals and encourage family farms. While Open Farm's protein is partially plant derived, this is going to be the case for most dry dog foods, and since I supplement with freeze-dried raw I believe my darling carnivores are getting plenty of meat in their diets. One of the things that is so great about this model of feeding is that it allows me to provide them with higher quality foods than I might be able to feed if I was feeding one thing exclusively. If you are just starting out with the rotation diet it's recommended that you make changes gradually; however, Ruby and Boca are well-accustomed to a diverse diet and I rotate by the box or bag with no issues whatsoever. If I think of it I might pour the last of a bag into the top of a new bag, but generally I make the switch cold turkey (or cold pork or cold venison as might be the case...). Even if you want to stick to one brand, you can rotate between proteins to keep things interesting, such as Open Farm's three recipes: Farmer's Market Pork & Root Vegetable, Homestead Turkey & Chicken and Catch of the Day Whitefish & Green Lentil. Rotation feeding gives me flexibility in my dogs' routine. Because the girls eat dehydrated raw food for breakfast, their evening kibble meal gives me more options for how I feed. They may eat out of their puzzle bowls, with the kibble mixed with leftover veggies, supplemental oils or goat milk, or I may take the opportunity to feed their kibble portion as rewards in a training session. 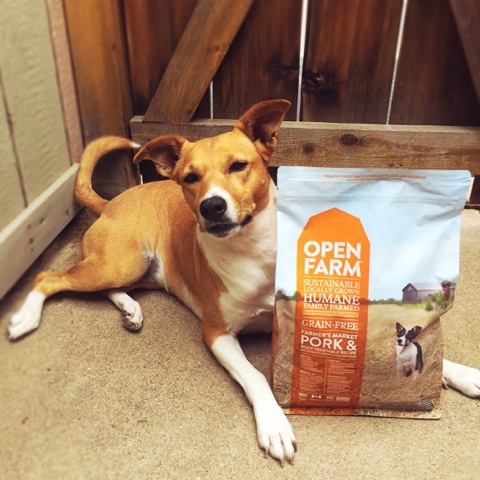 They especially loved our first samples of Open Farm's three recipes as training treats, and I know that Kimberly at Keep the Tail Wagging uses it the same way even though she is a raw feeder. If the weather is bad and our walk has been abbreviated so that I feel they need a little extra enrichment, I'll break out the frozen Kongs stuffed with canned food. When we travel, I can take sample packs of a new flavor, or a familiar favorite to make eating in an unfamiliar environment a little more enticing. Rotation feeding allows me to mix up not only what I feed, but how I feed. Open Farm is most assuredly going to be a part of The Ginger Sister's regular rotation from now on. I am excited for more people to know about this ethically sourced dog food and to see it on more stores' shelves. You can visit Open Farm at their website, on Facebook, Twitter, Pinterest and Instagram. Great post! I think rotation feeding is so important for dogs. It's more interesting and great for their nutrition. In my experience, rotation feeding also reduces the likelihood that my dogs will develop protein allergies. I think the reason all four have chicken allergies is because chicken is in EVERYTHING. I'm so thankful that neither of my girls have allergies/sensitivities and I hope that rotation feeding is helping to keep it that way! I also rotation feed my dogs for all the reasons mentioned. There are many things that are great about this food. I'll likely not feed it due to the amount of legumes listed. I've not seen good information on feeding these to your dogs but from many years of research on feeding dogs, they certainly seem like just a less expensive filler ingredient to add protein. I have a hard time dogs can digest and use them well. I also have a dog very allergic to peas. Oh and I have seen research with negative information on feeding breeding dogs and humans peas. I've read some of the negative information about legumes, too, Linda - that's one of the reasons I go with the whole grain Honest Kitchen varieties so they aren't eating peas/beans for two meals. We rotate within the same brand, but why not add several brands. Good point. I love rotation feeding, we rotate both brands and formulas for variety and the most benefits. Yumm, I'll have to see if our store carries this brand. 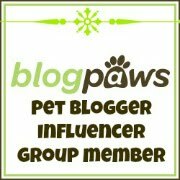 :-) Currently we're on Petcurean's Go! brand, they have a loyalty program and I've almost earned our free bag, then I was going to switch. I've been looking at N&D grain free to do next. 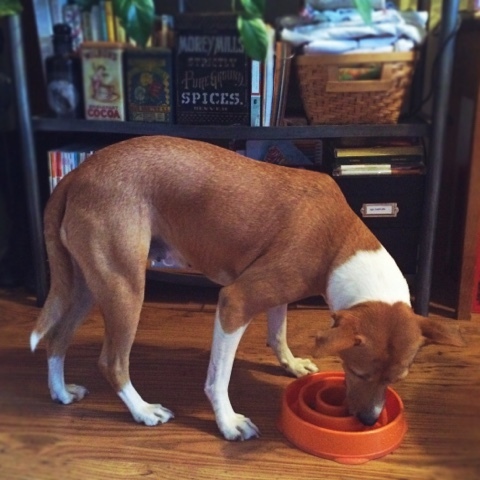 We tend to stick to grain-free kibbles since I feed some of the whole grain Honest Kitchen varieties. Mainly I don't want them to get a ton of any one thing. Ruby is the same way! Boca is just happy with food. Any food. I may be the exception...but I can eat the same thing day after day for months. People who know this can't believe it. I realize it isn't normal though and I do try to keep Blueberry's diet interesting - although I don't rotate her food, I do add fun things to it to make it exciting for her. I believe she has a more varied diet than I do! That's funny! There are things I could eat every day...Thai food, salad, probably enchiladas..and I notice as I get older that I tend to stick to old favorites rather than trying new things.